Andrew is taking to the high seas on 17th December and will be on leave until the New Year. The Mudgeeraba clinic will reopen on 3rd January 2017 and the phone number is 5559 1998. 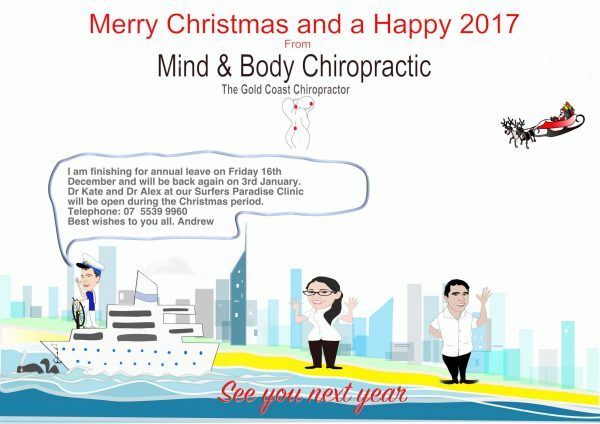 Our Surfers Paradise clinic will remain open over the festive season and you can reach us on 5539 9960. Kate and and Alex will be on hand to take care of your usual or seasonally unexpected (cricket, football, swimming pool etc) needs during this time. Merry Christmas and a Happy New Year for 2017.